Jimbaran Beach is a popular bay in Bali where the fishermen dock. Bali jimbaran bay also known as a fish market. In Bali jimbaran bay, the fish always fresh because its still alive. Since the number of fishermen and fish traders, you could say if Jimbaran is the central fish market in Badung regency. 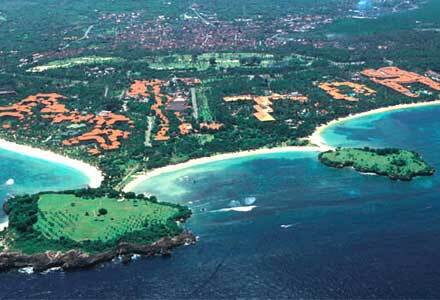 As Kuta and nusa dua beach on bali island, Jimbaran beach also covered by white sands. Sunset at evening makes this beach very romantic. Also, don’t forget to enjoy the jimbaran seafood dinner at cafes that lined the beach. Jimbaran bay located not far from the Ngurah Rai airport, about 10 minutes, you will find this Bali beach. Because of its location near the airport, you can see aircraft taking off or landing from the beach. 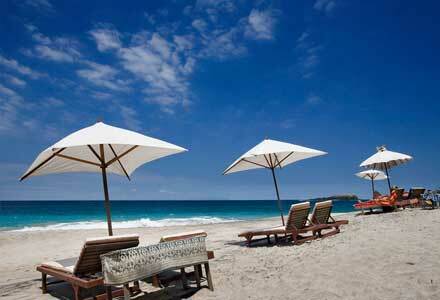 As one of Bali beach destinations, Jimbaran also used as a sunbathe place. Don’t worry about accommodations, there are a many stars hotels near the coast. Jimbaran beach is one of favorite tourist spots in Bali. The white sands that extends along the shoreline and the calm waves give an elegant atmosphere in jimbaran bay. From a distance we can see many traditional fishing boats that catch the fish. Such a views that not seen at another beach in Bali. At evening, you will feel the romantic night life. Cafes start to open and begin offering the Jimbaran seafood that deniable. The smell and its distinctive seafood taste is the life of the jimbaran beach. When visiting this Jimbaran beach, you can strolling along the beach at day then covered by a romantic dinner at night with affordable price. 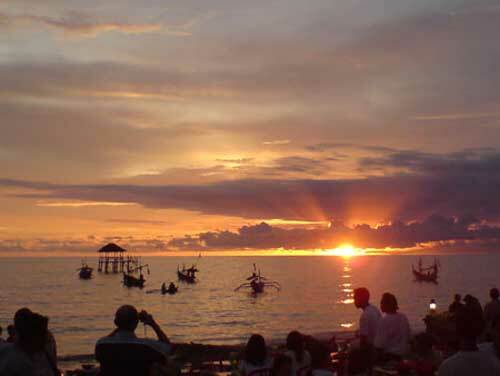 As well as sea food, bali jimbaran beach offer beautiful beaches, clean white sand and a beautiful sunset. Jimbaran beach also has complete accommodation and facilities like InterContinental Bali Resort, Four Seasons Resort, Karma Jimbaran Hotel, spas, shopping, etc. 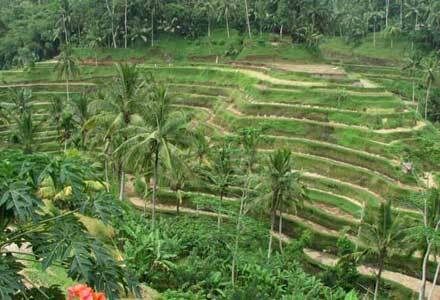 Click here to find more hotels near Jimbaran beach. If Im wrong sorry, I had in other country and havent been in Bali for a long time, but this beach seems to be same like other bali beaches. I must admit this Jimbaran beach is very wonderful . 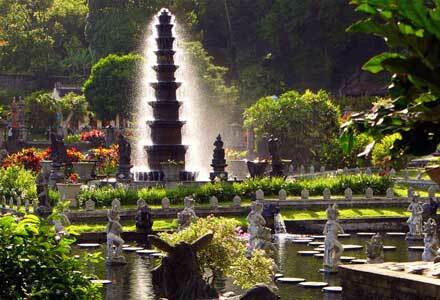 Thank you for your bali jimbaran beach information. Thanks for any other wonderful post. The place else could anyone get that kind of information in such a perfect way of writing? I’ve a presentation next week, and I am at the search for such info.